Responsive design for WordPress: WordPress offers an almost endless supply of design themes that are available internet. Business WordPress themes combine modern, minimalist and good-looking design with powerful features that were unavailable some years ago. A responsive business WordPress themes is built to automatically adapt its design to look great no matter what screen size or device is being used to view the site. Save your valuable money and time to look through our collection because they are professional themes for WordPress to rapidly make a beautiful and fresh look enterprise website. Here, I have collected some of the best responsive business WordPress themes that have users marveling at their great fortune. This is a collection of the best responsive business WordPress themes for small business, large corporate and company websites. 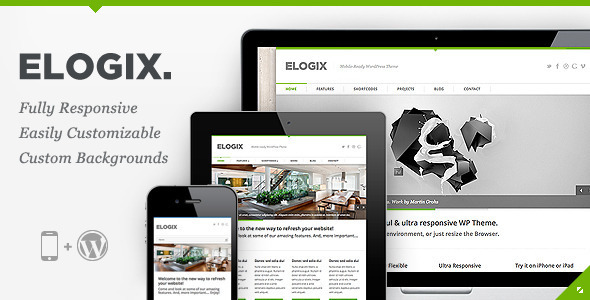 ELOGIX is an incredibly powerful & ultra responsive WordPress Theme that perfectly suits your Portfolio, Creative, Blog or Business Website. 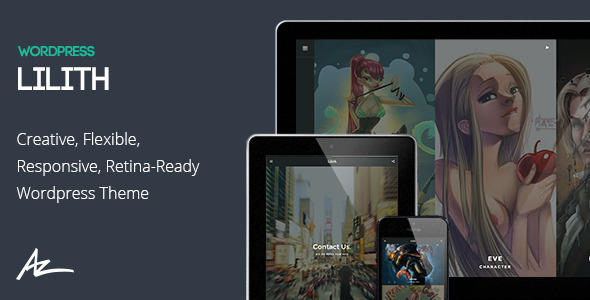 This Theme has a fully responsive layout. That means it will fit your large desktop screen, all the way down to your iPhone and of course any Tablet or iPad in between. It looks beautiful on any device! ELOGIX is completely optimized for your touchable and mobile device – Touch gestures even work on the sliders and shortcodes. 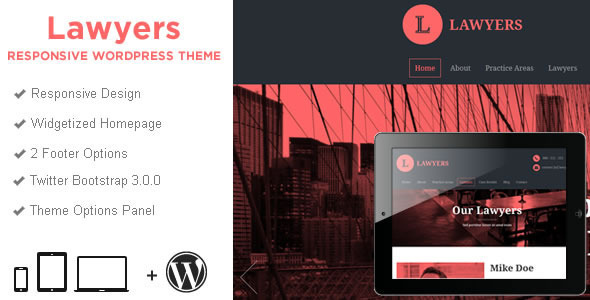 Lawyers is a premium responsive WordPress theme created especially for law companies, attorneys, legal offices. 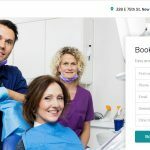 It covers all you need for a legal business website, from practice areas to case results and team members pages. It comes with a responsive design, easy to use on desktop and mobile phones. The theme has a widgetized homepage ( 9 custom home widgets ) and 2 footer options to choose from – contact form footer like in the live example or classic 3 footer widgets. 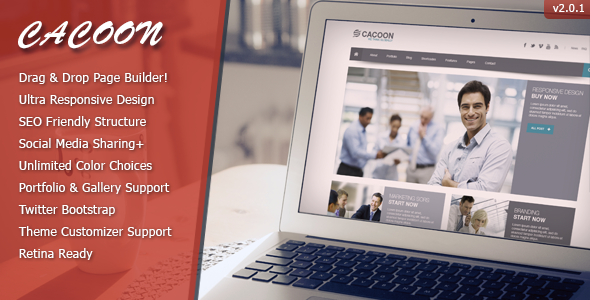 Cacoon WordPress theme is HTML5, CSS3 and Responsive. Cacoon’s layout is also liquid, this means it can fit any other screen like low resolutions 800×600 or 1024×768. Cacoon responds to tablets and phones. Page creation with Cacoon is so easy, you just drag and drop built in elements where ever you want and fill it’s details as you wish. 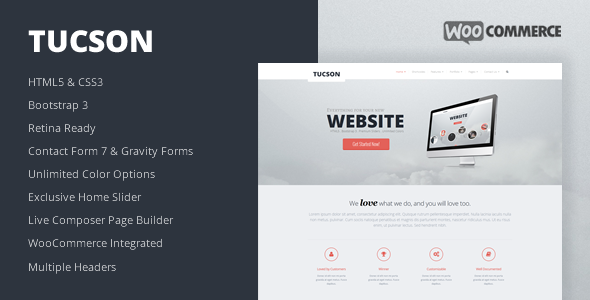 Tucson is a Professional, Multipurpose WordPress Theme for any business or portfolio website, it’s fully responsive design ready to look stunning on any device. Customize your website as much as you want, you have tons of layout possibilities with unlimited variations and colors thanks to the Live Composer front end page builder included for free with Tucson. WordPress theme fully responsive and works fine only tablets and mobile devices. Turn on/off sticky options, that makes your main navigation fixed. Premium LayerSlider is Included which is fully Customizable and easy to work with, plus it’s responsive. 30+ background patterns included, or you can easily upload your own background. 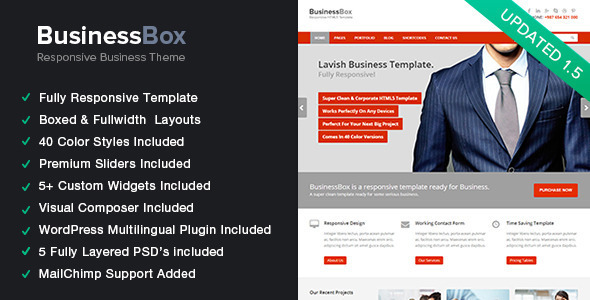 BusinessBox Comes with 40 Color Versions for you to choose from. 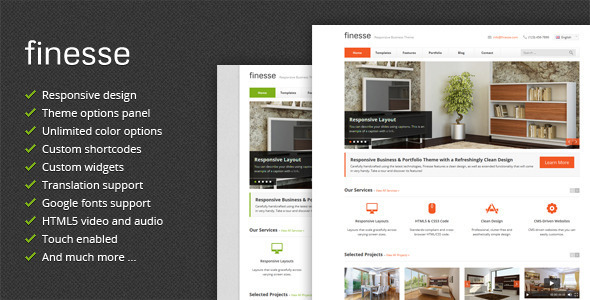 Finesse is a responsive business and portfolio WordPress theme that features a clean design, multiple styling options, translation support, and comes with a fully comprehensive and easy-to-follow documentation. You can customize the entire layout of your website with Finesse by choosing between the wide and boxed layout. You can choose between 8 predefined color skins or you can quickly define your own colors. 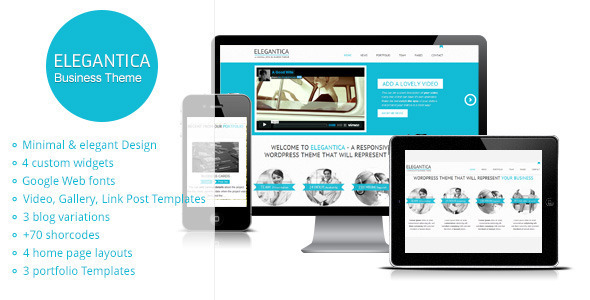 Elegantica is a responsive minimal business WordPress Theme, suited for creative folk that wish to present their products or services with a bit of creativity. 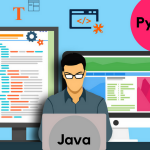 It is suited for both personal and corporate websites. The Theme comes with a plethora of options so you can modify layout, styling, colors and fonts directly from within the backend of your WordPress Theme. You can choose any color you want to be the Theme’s leading color. 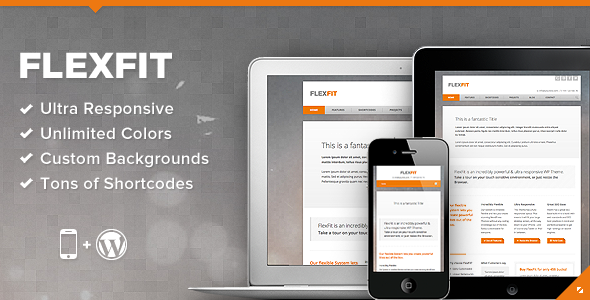 FlexFit is an ultra responsive & highly customizable WordPress Theme for creative professionals and companies who are looking for a unique and customizable website which looks beautiful on any device. FlexFit comes with tons of options to modify the overall layout, colors & backgrounds for a unique and custom look directly from your backend. It includes hundreds of built-in responsive Shortcodes (even swipe-enabled) and over 220 Icons to create incredible Pages in no time. Brave is a multi-purpose, fully-responsive WordPress Theme with loads of thoughtful features and options. The responsive design provides a beautiful and easy to browse experience on Smartphones, IPhones & Ipad’s. The homepage builder allows you to select and customize a range of modules to build a homepage that suits your personal taste. You can simply deactivate the slider and still receive a striking presentation on your homepage. 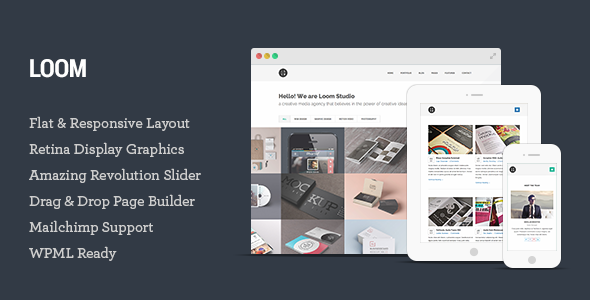 Loom is a flat and responsive WordPress Theme with a clean and professional design which will be a great solution for your business, portfolio, blog or any other purpose website. Loom was built with awesome Twitter Bootstrap v3 and it loads of page builder elements pages with unlimited color options. Since it is responsive, the layout will adapt to different screen sizes which will make your website be compatible with any device. Lilith is an ultra responsive, beautiful, unique, flat, creative and super flexible Creative WordPress Theme that is perfect for any business (agency, portfolio, creative people, photography and blog websites). Packed with a lot of high quality features such as shortcodes, page builder, theme options panel, slider. Elegant & modern solution based on Twitter Bootstrap Framework 3.0 and offers support for WooCommerce. 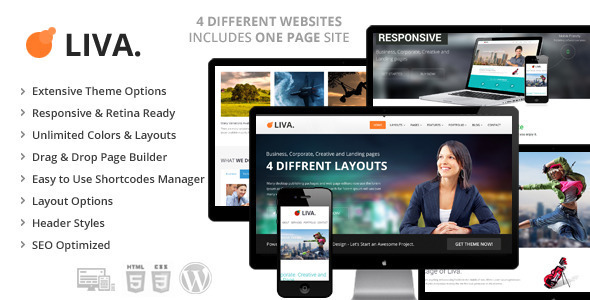 Liva is a Responsive (Desktop, tablet, mobile phone…) WordPress theme with simple, clean and Professional theme. It comes with Unique Pages, Awesome Slideshows, Unique Color Variations. Easy-to-customize and fully featured design. This theme suitable for Company, Business, Blog and Portfolio. 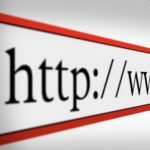 Create Outstanding Website or Blog in Minutes! 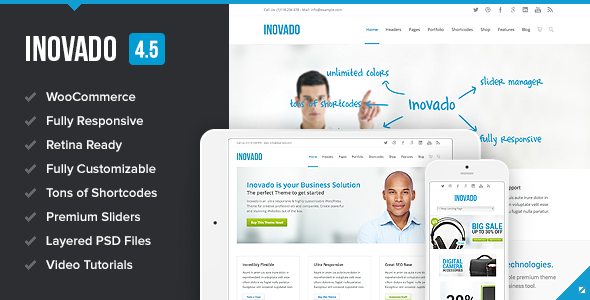 Inovado is an ultra responsive, retina-ready WordPress Theme that everybody wants. 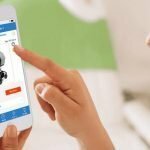 It’s an incredible versatile premium theme with powerful customization settings that helps you transform Inovado into your unique business tool. It’s very intuitive to use and completely ready to operate out of the box. With our One Click Installer, extensive documentation and video tutorials you get the perfect starting point for your next online portfolio, affiliate project, business site or online magazine. 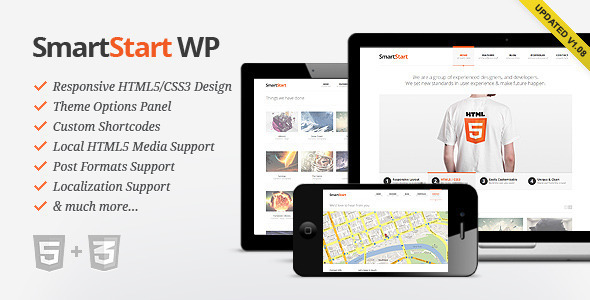 SmartStart WP is a simple and clean but still professional WordPress theme suitable for any business or portfolio, and it’s created by using the latest HTML5 and CSS3 techniques. With a responsive design it is easily usable with any device (Desktop, tablet, mobile phone…), without removing any content! Responsive HTML5 and CSS3 table-less design, Custom Shortcodes with Shortcode Generator, Local HTML5 Video/Audio Support. 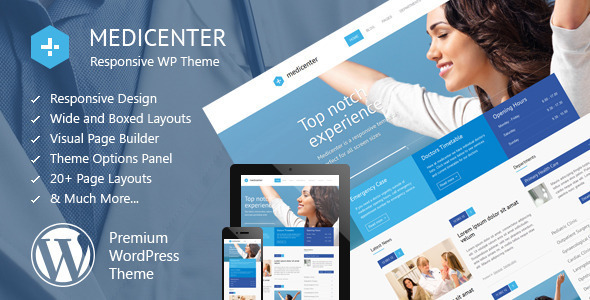 MediCenter is a responsive WordPress Theme suitable for medical and health related projects or businesses. The Theme is maintained in a minimalist and modern style with strong color accents. 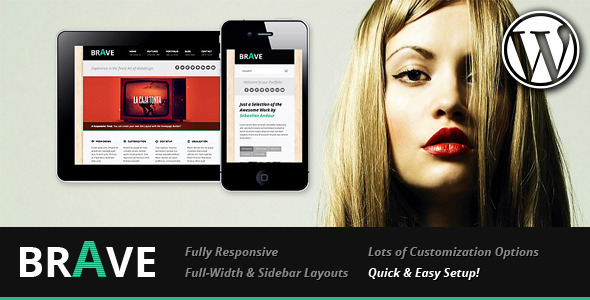 Theme comes with wide and boxed layout – both fully responsive and optimized for all kind of devices. Home page is based on wide slider that scales to any width and looks perfect on mobile devices. Home page has 6 different layouts.